learned and practiced the skills necessary to control the ATV on such terrain. 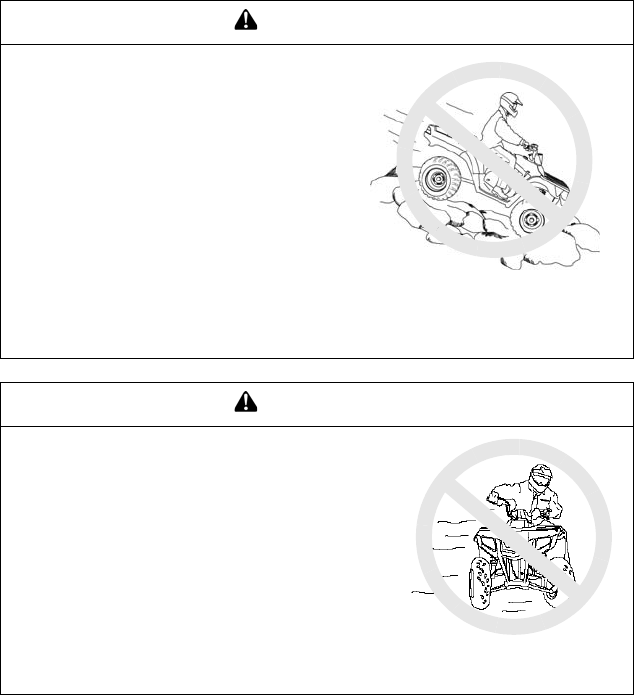 Always use extra caution on rough, slippery or loose terrain. lead to a collision or overturn. described in the owner&apos;s manual. attempting to turn at faster speeds. Never turn at excessive speed.